There is no doubt that Paolo Veronese‘s paintings are grandiose and magnificent visions of the spectacle of sixteenth-century Venetian life. The Italian painter is arguably most famous for his paintings The Wedding at Cana and The Feast in the House of Levi. However, in this particular exhibition, there is one work, which stands out amongst the rest at Ringling Museum of Art’s current exhibition Paolo Veronese, A Master and His Workshop in Renaissance Venice. The work is Christ and the Centurion. This work is a fine example of the style in which Veronese is best known for – a crowed colorful composition with theatrical effects and the idea of opulence and splendor in the Renaissance of Venice. In this version (and quite possibly the best version), the account of the miracle from Matthew 7:5-13 is compressed into one dramatic scene, which is shown at its climax. 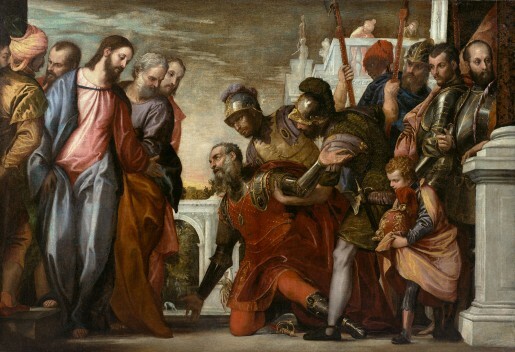 A Roman centurion begged Christ to heal his servant, stating; “only say the word, and my servant shall be healed.” Christ healed the servant and praised the centurion’s faith. 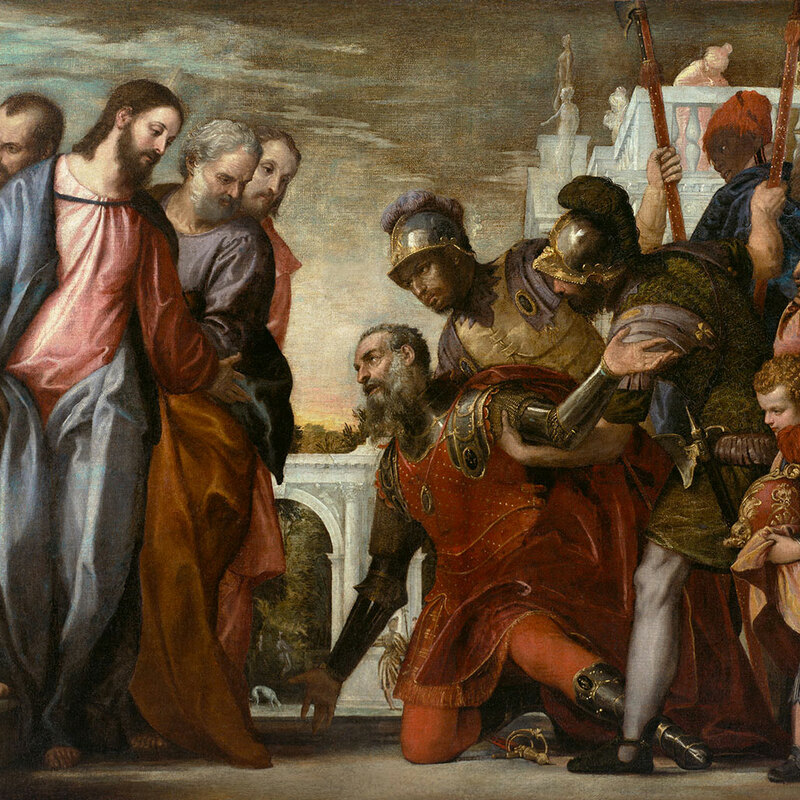 From the left to right, Christ extends his hand to the kneeling, humbled, and tightly rendered centurion who for the sake of his servant, and simplicity of his faith begs for a miracle. 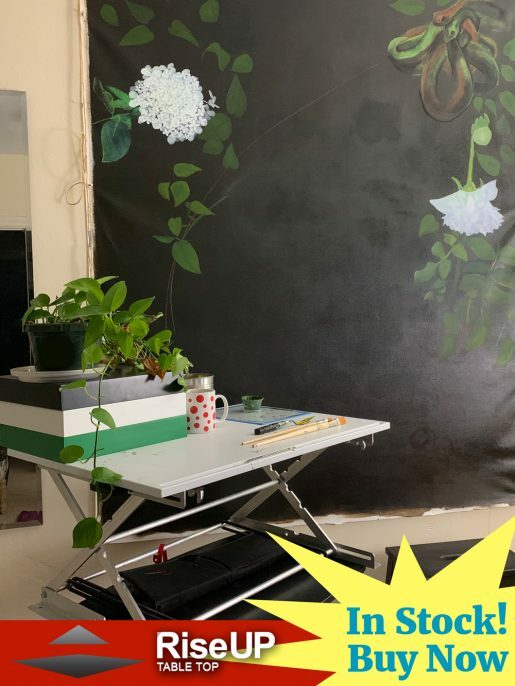 If you attend this well-hung exhibition, and you should, look for the slight varieties of colorful brushstrokes and various decorative styles in each work. Veronese ran a large prolific workshop, assisted by his brother and sons. Not only will you will notice the personalities of the many assistants Veronese had in the studio, but also their individual levels of accomplishment of the rendering of their Master’s works.